Hello, hello! 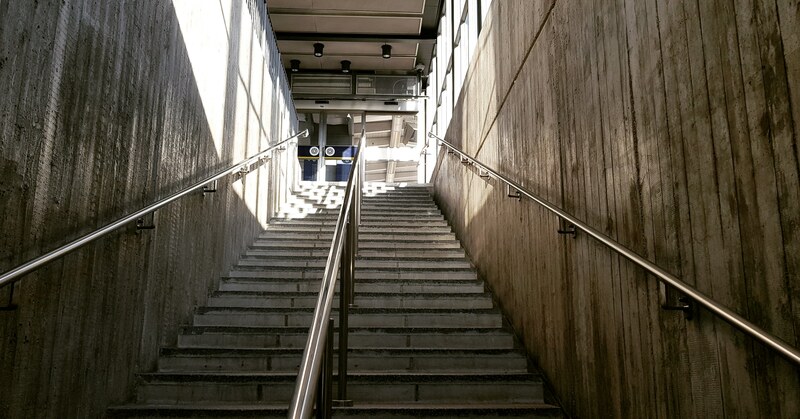 Are you ready to discovery yet another subway station from the beautiful Swedish capital? This Sunday we are taking you to Stureby, so come join us! 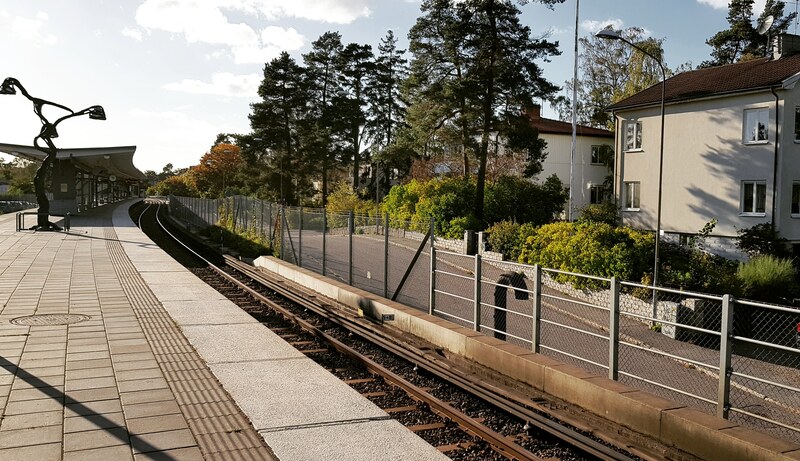 The station is located in the district with the same name in the southern parts of Stockholm at about six kilometers away from the city center. 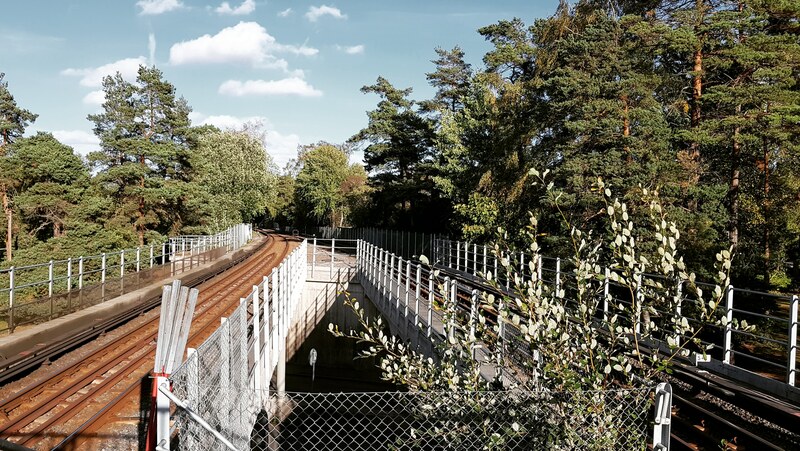 Temporary opened in September 1951, Stureby subway station was officially inaugurated in October 1953. At the moment, it’s part of the T19 green line in the subway system. Northbound there is Svedmyra, while southbound is followed by Bandhagen. 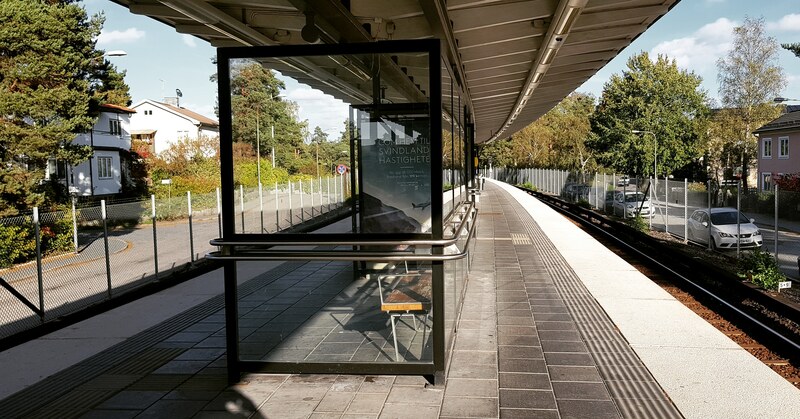 Placed in a residential area, only a bit more than 2.000 people use the station on a daily basis. Here there is one large open-air platform accessible from the only entrance under it. 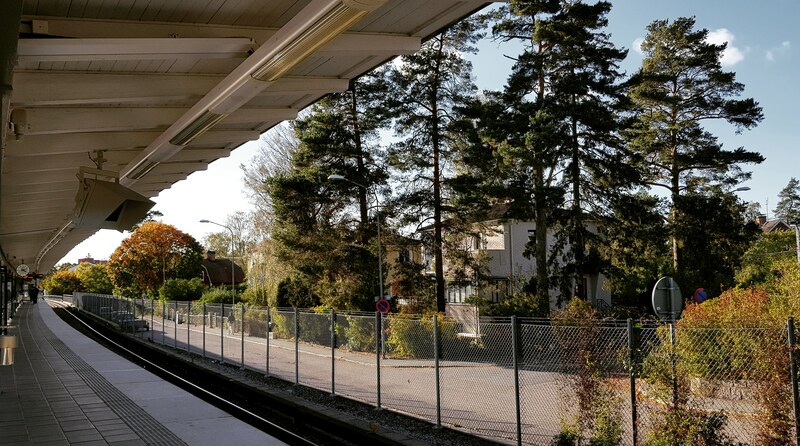 Alongside the platform there are two set of tracks, one for each way and from here northbound until Globen they follow the old tram line Örbybanan, which used to be in function starting with 1930s. 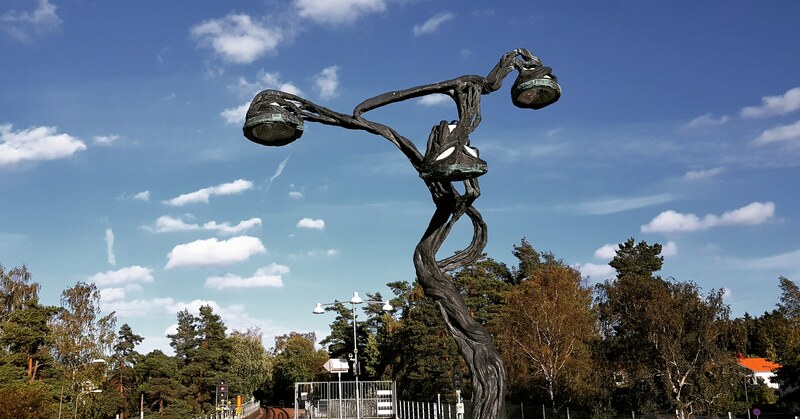 The artistic decorations at Stureby are represented by a large sculpture of an ornamented lamp post in the middle of the platform. The artist who made it is Carin Ellberg and it was added to the station in 2012.